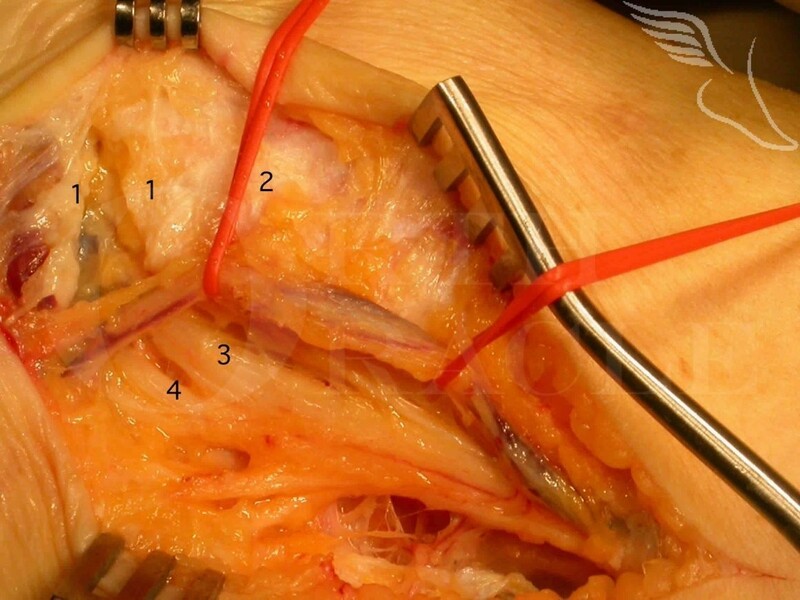 Learn the Tarsal tunnel decompression (for tarsal tunnel syndrome) surgical technique with step by step instructions on OrthOracle. Our e-learning platform contains high resolution images and a certified CME of the Tarsal tunnel decompression (for tarsal tunnel syndrome) surgical procedure. Tarsal tunnel syndrome classically presents with neurological symptoms effecting the sole of the foot in the distribution of one or both terminal branches of the posterior tibial nerve. Classically the symptoms are worse at night and only the sole of the foot is effected. It may occur anytime and sometimes daytime symptoms are the more prevalent. Other than the classical distribution of symptoms the other standout feature is usually the severity of the pain which can be very significant. Most commonly it is due to tight fascial layers or peri-neural fibrosis compressing the posterior tibial nerve and its branches though extrinsic compression from ganglions and other space occupying lesions can less commonly cause the condition. Nerve conduction testing is diagnostic in two thirds or so of and physical examination is more often equivocal or unrevealing. Often the strongest indication of the diagnosis is the history . Lumbar spine and more general nerve pathology should be excluded but the possibilty of a “double crush” phenomenon should always be borne in mind . Surgical treatment if performed with rigorous attention to detail is highly successful in my experience and warranted in symptomatic cases irrespective of their chronicity. Pain is most consistently dealt with by the Tarsal tunnel release and is also the earliest feature expected to improve , though sensory improvement is also to be expected.